The wedding cake is one of the iconic symbols of a British wedding. They originate in something similar to their current form from the medieval period. However, for many, the recipe doesn’t seem to have changed much since. Fruit cake is less popular than ever before. Yet, most wedding cakes are still fruit-based. How then, can you keep the tradition of having a wedding cake, while also having something you actually want to eat? These aren’t the Cheesecakes you might be thinking of. Rather, these are ‘cakes’ that are literally made of cheese. Many modern couples are turning away from sugar based cakes entirely, and choosing to celebrate the many varieties of British cheese. The cheeses the couple choose are often laid out atop one another in the style of a traditional wedding cake. 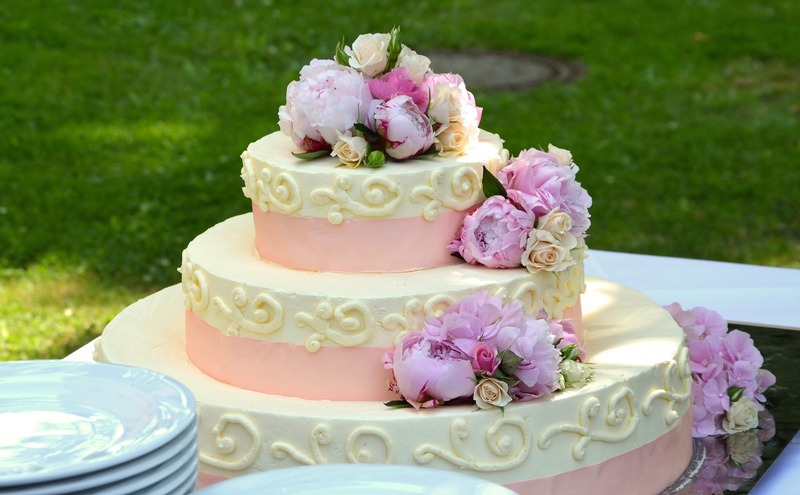 In parts of France and Italy, weddings do traditionally have cakes. However, they are not much like the traditional cakes we see in the UK. A Croque-en-bouche is a famous and visually impressive wedding cake made from a huge cone of profiteroles and caramel. Even if you aren’t a big fan of fruit cake, you are still likely to enjoy profiteroles. Why not have one of these spectacular centrepieces at your wedding? One of Britain’s most popular traditional foods is the pork pie. Savoury options such as pork pies are gaining popularity in British weddings – in contrast to unpopular sweet fruit cakes. Pork pie cakes are enormous towers of the traditional savoury pies. They look like wedding cakes, but have pork and pastry instead of dried fruit and icing. It is perfectly possible to have a wedding cake (or something that looks a lot like one), even if you don’t like the traditional style. While you could certainly just replace the fruit cake with a traditional sponge, why not try one of the creative options in this article? You could even create your own ‘cake’ out of any of your favourite foods. The only limit is your imagination. Wedding Insurance Solutions can protect your wedding day from as little as £25. This includes your photos, clothing and even your cake. Choose from our 4 levels of cover available and optional extras to tailor the policy to your unique day.